Linda Womack joined Emory in 2000 as director of state and government affairs, with a particular focus in the area of health care. Among colleagues, she is remembered for her fierce commitment to the university and her unwavering dedication to her job. Photo by Jack Kearse. Linda Womack, a longtime lobbyist who advocated passionately for Emory University and its health care operations, died Saturday after a brief illness. She was 63. For the past 40 years, Womack dedicated her professional life to working in governmental and public affairs — a career built upon her reputation for professionalism, integrity and a deep knowledge of the health care industry, said Charlie Harman, vice president of governmental affairs at Emory. Details of an on-campus memorial service planned for Womack’s friends and colleagues at Emory and Atlanta will be forthcoming, Harman said. Womack joined Emory in 2000 as director of state and government affairs, with a particular focus in the area of health care. In that role, she served as an ardent voice for Emory, meeting with elected officials on the state level concerning issues that affected academics, medical research, higher education, health care, students and patients. Among colleagues, she is remembered for her fierce commitment to the university and her unwavering dedication to her job. A native of Millen, Georgia, Womack graduated from Middle Georgia College and Georgia Southern University and launched her career in governmental relations as a congressional staff member handling constituent services in Washington, D.C. Prior to coming to Emory, Womack served as state government regional manager for the Warner Lambert pharmaceutical company, where she represented the company before state legislatures and other health care and regulatory bodies throughout 10 Southeastern states. Her background also includes 17 years of work within the electric utility industry, where she is noted for her role in establishing the first Governmental Affairs department for Oglethorpe Power. Betty Willis, senior associate vice president for government and community affairs at Emory, first met Womack in the 1980s while working on Capitol Hill in Washington, D.C.
From the beginning, she was struck by Womack’s dedication to her work, her savvy grasp of complex legislative issues, and her steadfast resolve to advocate for those she represented. At Emory, Womack happily embraced the role of legislative watchdog, dedicated to covering “any legislative issue on the local or state level that impacted Emory University or Emory Healthcare, in particular,” Willis said. Womack was widely recognized as someone who consistently put Emory and her advocacy for the university first, a responsibility that she felt on a personal level, Willis said. “Most people just have no idea to what extent she was always looking after Emory,” Willis added. To some, Womack’s work at Emory may have seemed largely invisible. After all, her job was to knock back legislative spot fires before they ever hit full blaze, say her colleagues. But as the executive vice president for health affairs, S. Wright Caughman saw in Womack a tireless lobbyist who toiled quietly behind the scenes on the behalf of the university. Though her work affected many, he noted, they might have never known it. “Of course Grady is not Emory, but for over 100 years Grady and Emory have been partners in serving patients and their families, many of whom had little to no alternative for health care — and the care was always outstanding,” he said. In recent years when Grady was in jeopardy of closing, Caughman credits Womack with “key behind-the-scenes work” that helped prevent that from happening. “It was not so much that Linda was working for Emory — though Emory is obviously invested in the success of Grady — but she understood how important Grady was and is to the people of Georgia,” Caughman explained. 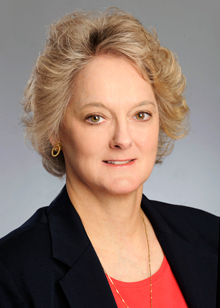 In addition to her governmental affairs work, Womack also served on the Wesley Woods Long Term Care Hospital Board and on the Mental Health and Aging Policy Committee, which represents organizations in Georgia that are committed to issues affecting aging and mental health. Womack was a member of the Georgia Chamber of Commerce Governmental Affairs Council for 30 years, where she served a two-year term as council chair, and a member of the Georgia Hospital Association’s Lobbying Committee. A Decatur resident and enthusiastic Atlanta Braves fan, Womack is survived by her sister, Gerry Sutton, and her sister's husband, John Sutton, Sr.; two nephews, John Sutton, Jr., and Robert Sutton; and their wives and children. Visitation will be held from 6-8 p.m. on Tuesday, March 3, at Fields Funeral Home, 364 East Winthrope Ave., in Millen. Funeral services for Womack will be Wednesday, March 4, at 2 p.m. at the Fairhaven United Methodist Church, 1126 North Herndon Road, in Millen.